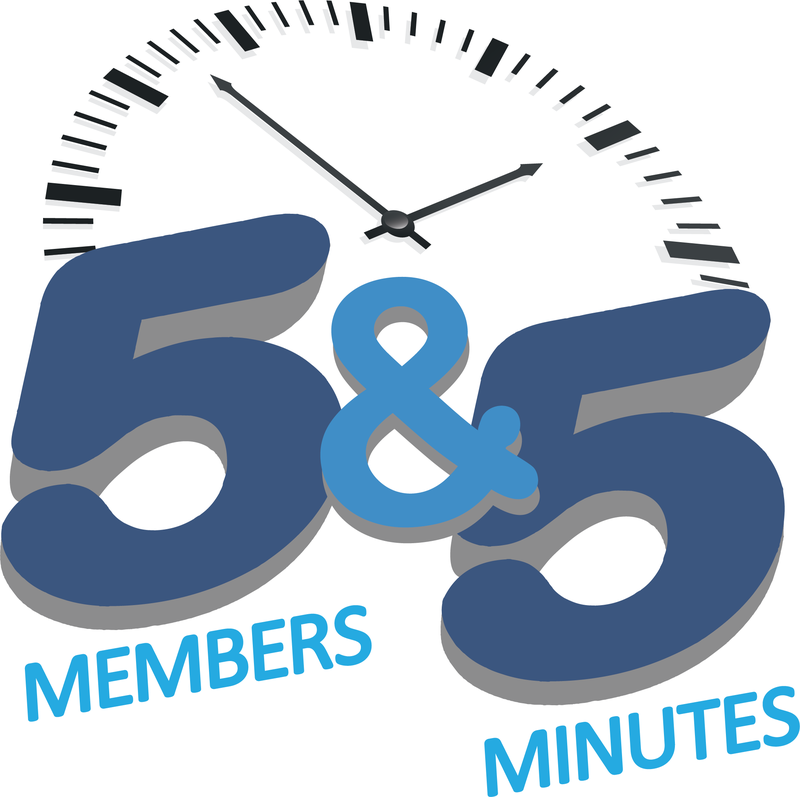 Beginning in February, we are launching a new Lightning Round format that we're calling 5 & 5 (five members, five minutes). This will replace our current Lightning Round & door prize give-away format. Five members will have the opportunity to bring a door prize (valued at $25+) and will each receive one minute to give their elevator pitch to the entire room and then award their prize. However, this opportunity will be limited to the first five members that sign up to participate. Members wanting to participate will need to register online through our events calendar. Registration will open the Monday before the luncheon. Members may participate a maximum of two times per year. Remember, once the five spots have been claimed, you will have to wait to try again the following month if you were not amongst the first five to register.